Want to quickly see how the open-source software MarketplaceKit works? You'll find a free and updated demo installation of MarketplaceKit here. 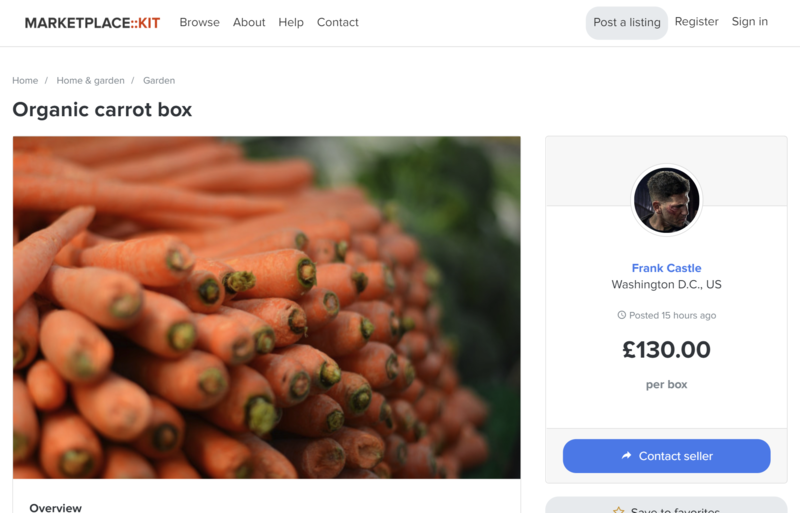 MarketplaceKit is a free open-source CMS to build your own marketplace. It attempts to reduce the time to launch by including the common components a marketplace needs, while being extensible enough to customize. You can allow sellers to list items and variants such as size and color, add shipping options and additional options such as gift wrapping.